The stay at the hostel was amazing. 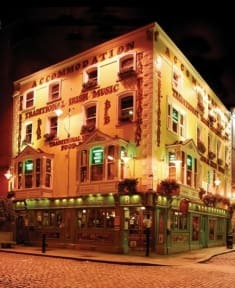 Fantastic location in the Temple Bar quarter. The free breakfast was the best I have ever had in a hostel. Also, there's free soup, salad, tea and coffee available the entire day. The lift was broken. For me, it was, however, no problem since the room was located on the second floor. The main disadvantage of the hostel can be fixed very easily. Due to its great location it was noisy at night and the room was not dark, so bring earplugs and a sleeping mask. Great breakfast, nice staff, perfect location. Hostel mit im Trubel der Stadt , Lautstärke daher ok. Negativ war das versprochene Ermäßigung im Parkhaus nicht erfolgte. Aber sonst alles gut. gutes Hotel in super Lage. Frühstück war ganz ok.
Perfektes Hostel für Leute die zum Feiern in Dublin sind!!! 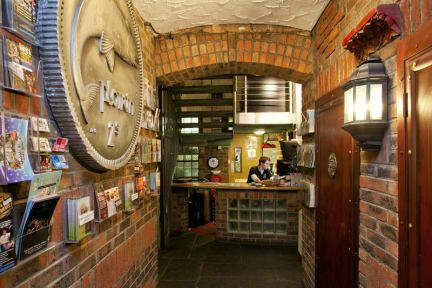 Staff was nice, location is perfect but it could have been cleaner, especially the bathroom! Not a Hostel for traveling alone and meeting people. A lot of inexperienced travelers, which don't know the basics of hostel behavior. Our private room was way smaller than shown online, the window was moldy, the light in the bathroom broke and wasn’t fixed. Location in temple bar was great though. Das schlimmste Hostel, in dem ich je gewesen bin. Unfreundliche Mitarbeiter, beim Check-In wurden wir ignoriert. Das Zimmer: unbequeme Betten, auch nachts ein tagheller, eiskalter Raum, der sich vom Heizkörper nicht aufwärmen ließ. Im sehr schmutzigen und heruntergekommenen Bad keine Heizung, dafür eine Lüftung die, sobald man das Licht anschaltete, das Bad in einen Eisschrank verwandelte. In der Küche keine richtige Abluft, nach dem Kochen musste ich mich komplett umziehen und duschen.